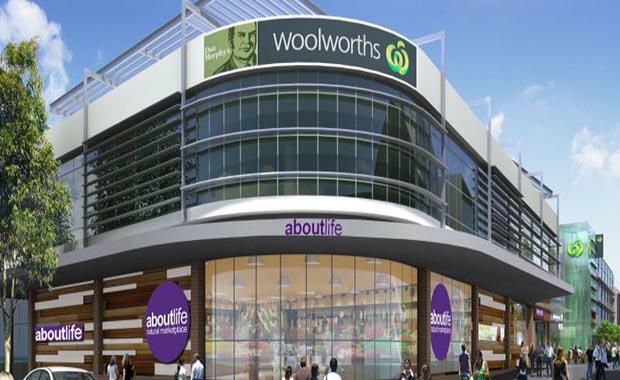 Woolworths is midway through construction of a 5000 square metre supermarket in Sydney’s Double Bay, which on completion will also include pizza ovens and a barista making fresh coffee. The new supermarket and Dan ­Murphy’s liquor store are the ­centre of a $110 million joint ­venture between Woolworths and ­Woollahra Council, known as the Kiaora Lands ­development, built by Ganellan. Located in the centre of the ­harbourside suburb known for its wealthy residents, Woolworths state operations manager Danny ­Baldwin says the group is simply ­giving ­customers what they wanted. “We’ll have more than 300 lines of cheese in the store, and our own cheese mongers that will be able to slice on demand and to make party platters,” he says. Cheese sales tend to be higher in affluent areas, Baldwin says, adding Woolworths stores in other exclusive suburbs including Northbridge and Neutral Bay post strong sales in the category. The Double Bay walk-in cheese room will stock brands that retail for more than $80 a kilo, and will be staffed by dedicated cheese experts. There will also be a sushi bar manned by sushi chefs to make rolls in front of customers, a gourmet pizza oven, coffee roasters, and a resident “foodie” to give shoppers tips on what to make with their fresh produce. “This will be a flagship property for the group – it’s a great catchment area. It’s a high income demographic, and if any location can handle the investment, it’s this,” Commonwealth Bank retail analyst Andrew McLennan says. The supermarket is part of a ­two-phase project, which will bring a new library, commercial office space, a ­442-space public car park and a ­landscaped public plaza to Double Bay. When construction is complete, the site will be wholly owned and managed by Woollahra Council, with ­Woolworths as a long-term tenant.